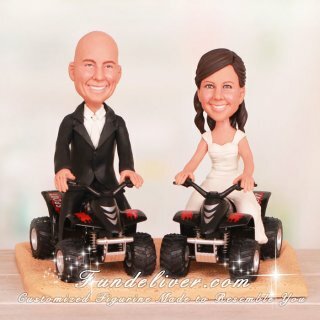 This is a completely customized riding on sand ATV wedding cake topper ordered by one of our customers. They would like the bride to be in ivory wedding dress, half hair up and the groom to be in black tuxedo. 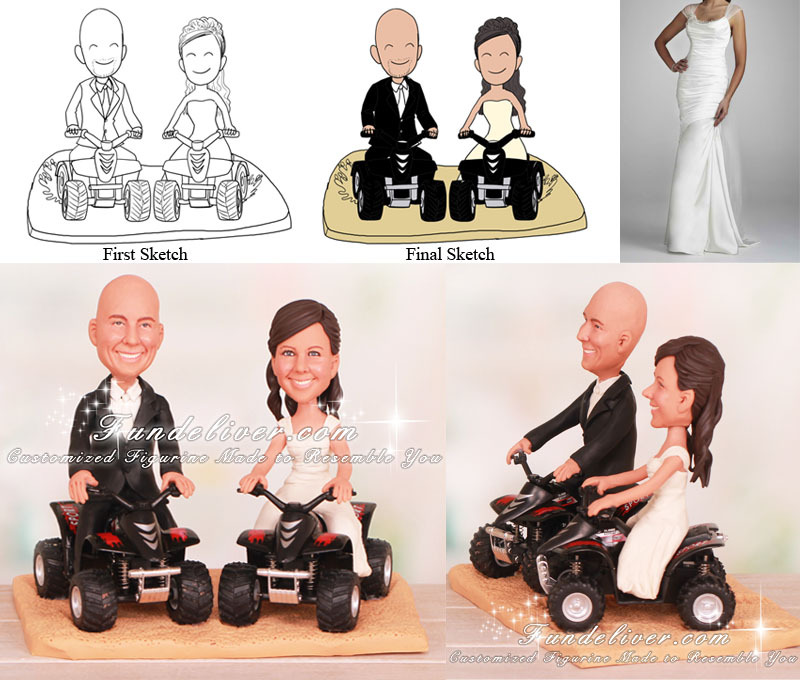 Both of their figurines are sitting on their own black 4 wheel ATVs. For the base, they would like a sand base to look like they are riding on sand.